We get this question all the time, and figured this would be a good opportunity to shed some light on what goes into making an aftermarket wheel. Most tend to think a wheel falls into 2 categories – forged and cast. While this is generally true, there are variations that make a very big impact in the finished product. At the bottom of the pyramid you have Gravity Cast wheels. This is a fairly simple production technique whereby molten aluminum is literally poured into a mold. Because of the simple process, the mold can be quite complex and intricate. This affords the manufacturer a wider range of styles to play with, and offers the greatest flexibility of design. The downside of course is the technique itself. Since you’re relying on plain old gravity to fill the mold, it’s not perfect. The net result is a wheel that has more empty space between the molecules vs. more involved manufacturing processes. They also tend to be on the heavier side of things, as the goal is style in design vs all out strength. The upside is the price for these wheels can be downright cheap. But so can the quality. Often times, the wheels are made in plants of dubious quality, and attention to detail is sometimes shoddy. You can tell the el cheapo stuff by casting flash on the backside of the spokes and hub. Next up you’ve got Pressure Cast Wheels. As the name implies, this technique relies on external pressure to fill the mold. As you can probably guess, the result is a wheel where there is far less empty space between the molecules. This method is a bit more limiting in overall style, but the strength to weight ratio is much higher compared to plain gravity cast wheels. This is the most common method used by the larger OEM manufacturers, because it affords them a good compromise between design and strength. Within the Pressure Cast family you have both higher pressure and low pressure. Differences are as stated – the amount of pressure exerted on the aluminun in the mold. The next technique is relatively new compared to the above, and is employed by several manufacturers such as SSR, Enkei, etc. It’s called Flow Forming, or Spun Form, Hybrid Forged, etc. This process employs a pressure cast technique at first, to achieve a general shape. Rollers are then used to literally pull, or press, the material to shape the final design. Many high end OEM manufacturers use this technique on their wheels. While it’s still technically a casting technique, the process allows a wheel to be incredibly strong (since the molecules are very densely packed), and light weight at the same time. 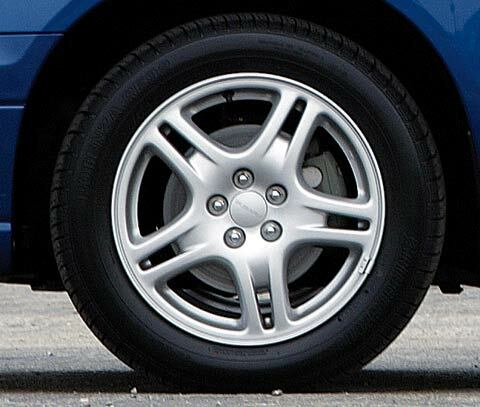 While the production costs are the highest among the cast methods, it still allows the wheel to be about 50% less costly than a forged variant. SSR Type F, Type C RS, several designs from Weds and BBS and several in Enkei’s Racing series employ this technique. Enkei has licensed the process to several other traditional cast manufacturers such as Konig and AME over the years as well. The pinnacle of the wheel production pyramid is of course forging. In this process, a single, billet hunk of aluminum is literally stamped into a design using very high pressure applied to a die. Because of the costs involved from the raw materials, to the production equipment, these are far and away the most expensive types of wheels. However, they also tend to have the best weight to strength ratio. The designs are often quite limited because of the cost to produces the dies. These tend to be simpler overall designs (aka Volk TE37, BBS LM and LMR, etc.). From there you get into a variety of materials. Aluminum and Magnesium are the most often used metals. In recent years, we’ve also seen hybrids employing both carbon and aluminum bonded together. The cost of these more exotic materials is high, but it’s done in the pursuit of the lightest weight, and highest level of strength. When you begin to examine the above in greater detail, you also begin to see that the process is only part of the equation. There are bad quality cast wheels and good quality cast wheels. There are wheels who’s designs are based on a forging model, that are replicated in cast models. There are wheels who’s design is based upon a low or high pressure, or spun technique, and some company turns around and does a low pressure cast version. From the outside, it all looks the same. The price is certainly more attractive. Sometimes it works well, sometimes it doesn’t. This is why the better cast manufacturers don’t replicate every wheel under the sun – because they know it’s an accident waiting to happen. Another important consideration is who is making the wheel in the first place. Some firms own their own factories, some simply come up with a design and broker manufacturing out to the lowest bidder. The problem is the consumer never sees this side of the market, they only see the finished product. When it arrives to you new in the box, it can look all shiny and pretty. Turn the wheel over and examine the spokes, and you can begin to see the origins, and the quality of the wheel. The better quality wheels tend to be finished in very great detail even on the backside, and no casting flaws can be seen, and no extra flashing. The cheap stuff looks…well, cheap. Hopefully that helps shed some light on what some differences are between the various wheel manufacturing techniques. Sunline Racing has introduced a range of new parts for the Mitsubishi Evo X. Their stylish body kit features a mix of FRP and Carbon fiber, and is available as a full set, or as individual components. They also have a carbon paddle shift kit for the SST owners, allowing you to shift at the flick of a finger, while fitting an aftermarket steering wheel! Back in the winter, Jon traded in his Civic Si and picked up a 2011 Mazdaspeed 3. Since that time, some tasteful mods have been added, but nothing crazy, as the car is already a ton of fun stock. Though he managaged to sell all the mods from the Civic, one thing is making a reappearance – the wheels! 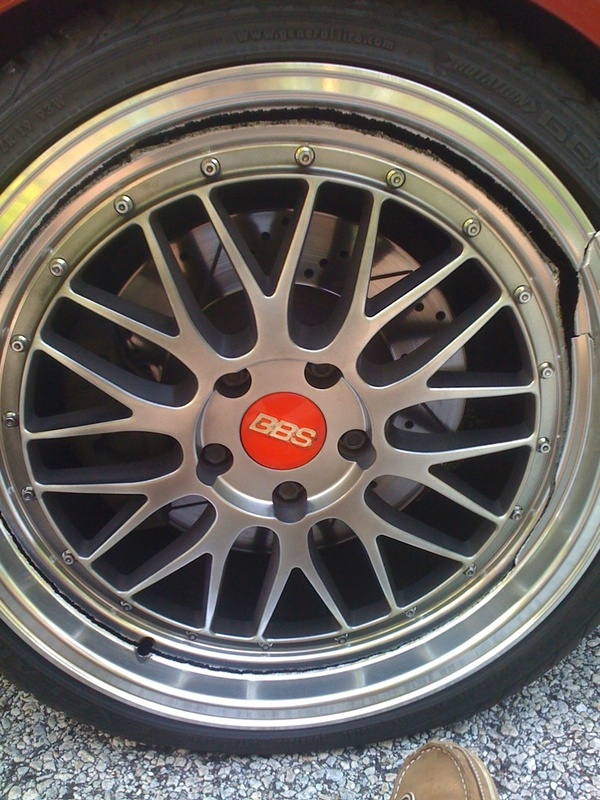 Rays 57F (forged) in 18×8.5, this time wearing 245 inch Sumitomo HTRZIII. She’s sittin on H&R springs for those interested. Since these wheels aren’t made anymore, and they were paid for long ago, it only made sense to reuse them on the new car. It’s that time of the year again! Fresh off the heels of the 24 hour race at LeMans, it’s once again time for the 24 Hour Endurance Race at the world famous Nurburgring. We all know how tiring driving can sometimes be, even if we’re in the car for an hour or two. Imagine driving flat out, through any weather condition, throughout a challenging course in the middle of the German forest, with a field full of fellow nutcases doin the same. 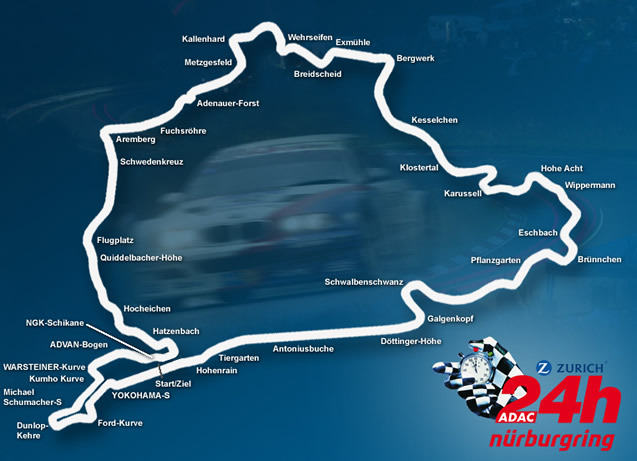 This is what the 24 Hours of Nurburgring is. The best drivers in the world, in some of the best sports and GT cars, engaged in the in the ultimate dance between man and machine. 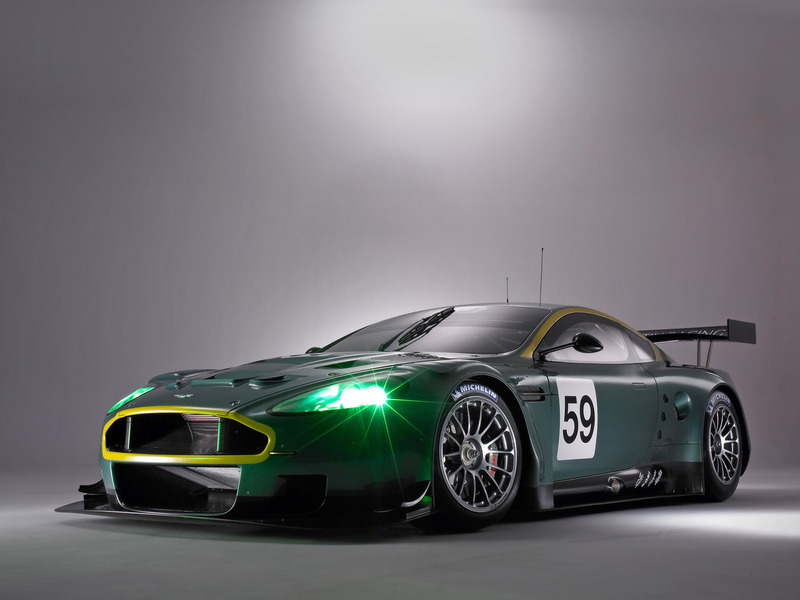 Every year the Goodwood Festival of Speed takes place in the UK at the end of June. It takes place on one of Englands most famed estates and features an eclectic mix of people and cars from around the world. 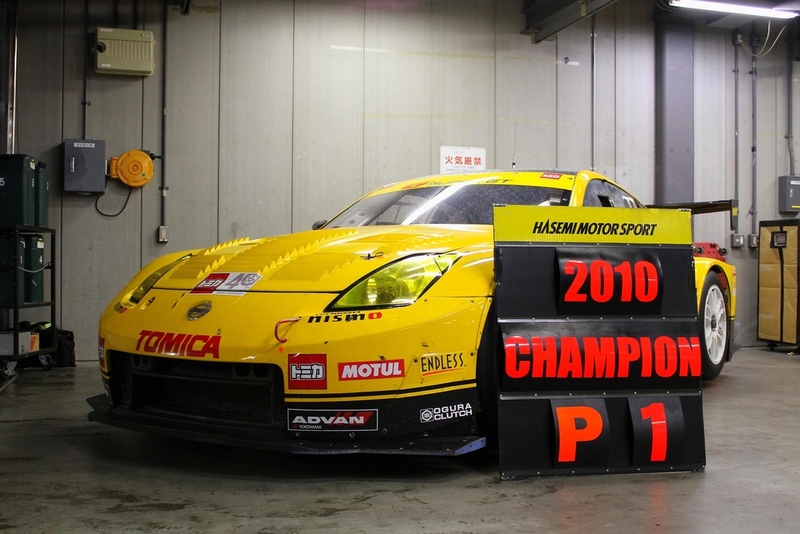 This years theme revolves around “Racing Revolutions – Quantum Leaps that Shaped Motorsport”. Porsche is no stranger to that, and as such, will bring several unique models from their racing history. 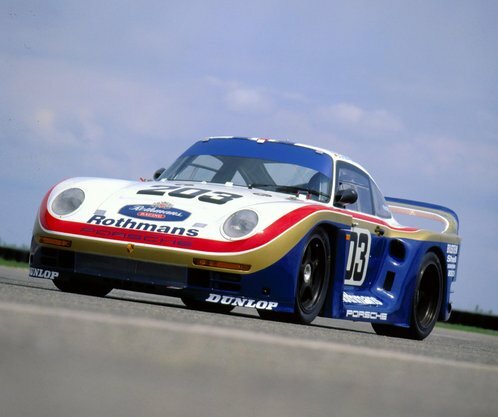 One such iconic car is the 961, the LeMans going version of the iconic 959 car originally developed for the Paris Dakar Rally. Motorsport has always been a proving ground for top tier manufacturers, and Porsche used this race to continue development of their twin turbo, flat six engine. It finished 7th overall, as well as winning it’s class. Not too shabby. If any of you guys are going to this years festival, let us know – would love to feature some of your pictures and impressions, to be shared with those of us not fortunate enough to be there. Today’s import market seems dominated by off brand parts, made god knows where, with names that sound racy, or even have Race or Racing in them. But does that make them worthy of the name? Endless is well known amongst competitors the world over for no compromise, high end performance brake systems and components. The same exact kit shown on this Hassemi Z can be purchased for your car. 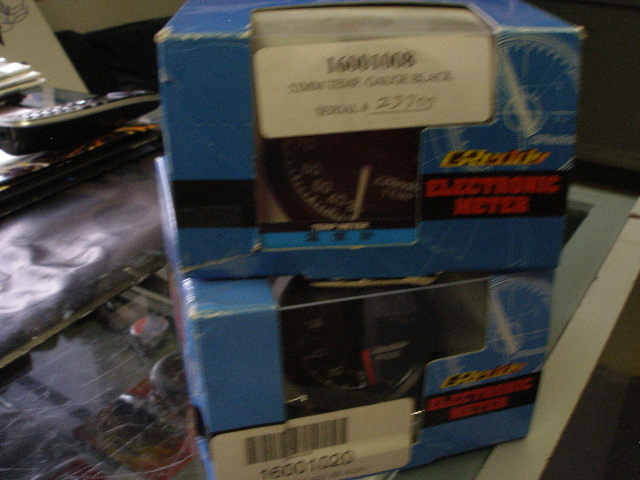 From the mid 90’s to about 2002 ish, these were the gauges to have. GReddy Electronic. They were pretty affordable, electronic, easy to read, and very reliable. I dug up a couple of these today at the shop, that we still have. 52mm Electronic Temperature – reads from 30C-150C (86F to 302F). Black face, lights up green. Great for oil temperature, transmission temperature, etc. New in the box, includes sensor, etc. Part # 16001008 – $50.00 gets it! A very rare version of the famous Works Bell Rapfix II Quick Release. This is not cheap, we know, but this is also not a common part, and not something that anyone else in the US has in stock right now. The wait times are usually huge as well. And yes, I am aware other places have it on their website for less…which is just an indicator that they have not ordered it in a long, long, long time, and don’t know what today’s cost on the item is given the exchange rates, etc. This is made by Works Bell for Top Secret and is finished in their signature Gold color. The only place to get this is through Top Secret. Allows 1 touch removal of your aftermarket steering wheel! This model never made it stateside, but back in the late 90’s, Subaru was offering their answer to the 5 series with the Legacy B4 RSK. 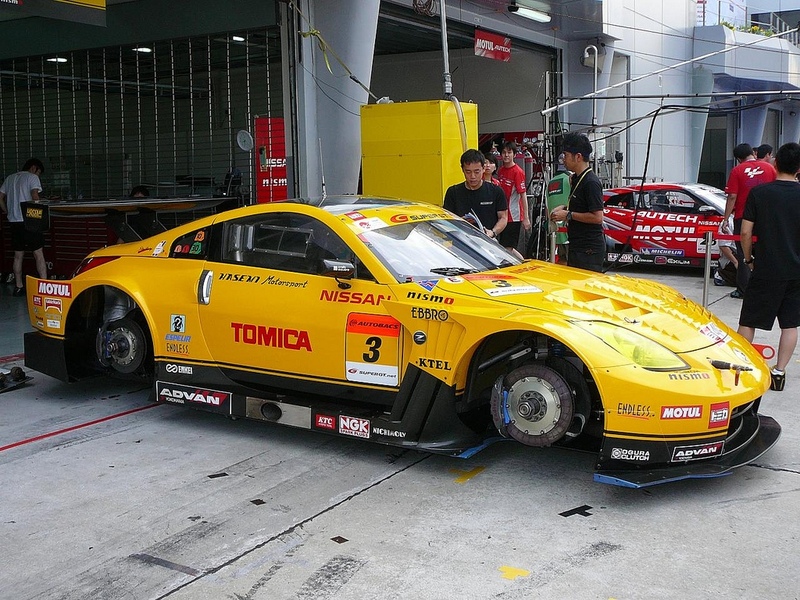 2 liter, twin turbo flat 4, 5 speed manual transmission, “280 hp” per the Japanese guidelines of the time. The interior was nowhere near at the 5 series level, and looks even more dated today, but the exterior doesn’t look like a 13 year old car to me. We hear everyday from customers who aren’t interested in a big brake kit, aren’t interested in some exotic pad compounds. They just want an all in one, complete replacement parts for their tired and worn brakes. We’ve put this package together with this customer in mind, and it includes everything you need.